Who is thinking about civilian drones, UAVs? An increasing number of people with interests1 and concerns2, in many countries. Some are primarily interested in the potential benefit3 or value4 from applying drones for non-military purposes, while others are concerned about potential uses5 or the increasing number of drones traveling in air space. Most have both interests and concerns, in varying degrees. Who is a stakeholder6 in a system that includes a drone? The answer depends on who you ask, and how they define “system”. Historically, there has been limited direct participation in developing, acquiring or operating a human-made system-of-interest7 (sometimes called an “engineered system”). However civilian drones or unmanned aerial/aircraft vehicles (UAVs) are capable of travel in air spaces that are not typically traveled by manned aircraft. An increasing number of citizens, citizen-advocacy organizations and elected officials have expressed concerns about how drones or UAVs might be used for purposes that are unlawful or socially unacceptable. Every stakeholder, whether acknowledged or not, may express their views about civilian drones from their personal viewpoint, or on behalf of an organization8. Examples of the many diverse viewpoints and views are listed below. These viewpoints have been labeled only for ease of reference, not to imply relative importance, frequency of occurrence, or other information. Links are intended as examples, not endorsements. Many of these viewpoints and views may also be relevant to other kinds of unmanned vehicles (ground-surface, water-surface, sub-surface, or hybrid). The list is not intended to be complete or all-inclusive. 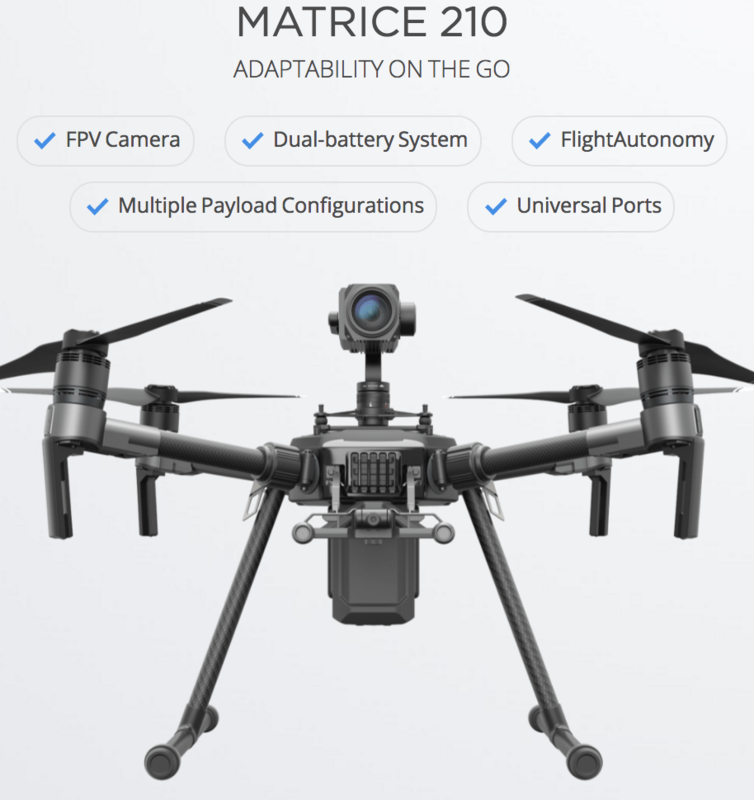 I want to buy the least expensive, ready-to-fly quadcopter or hexacopter for fun. I have found products for sale on many websites. I want to know more before I buy one. I would like to read a product comparison by a trusted source, read a recommendation from a notable source11, or quickly read about the range of customer experience. I may want to ask some questions. I want to assemble the least expensive quadcopter, for fun. I am not easily finding what I need to know on websites like DIY Drones, RC Groups, or Instructables. I want to know technical details about many kinds of components before I buy, make or assemble them. I enjoy learning through doing. In the past my projects have been about having fun with small, remote controlled vehicles (airplanes, helicopters, cars/rovers, boats, submersibles). I am now experimenting with programmable aerial vehicles to see how they work, what they can do, and what I can make them do. I frequently visit, and may join discussions on websites like DIY Drones or RC Groups. I want to buy a complete, ready-to-operate (RTO) system for a business, government entity, university or other kind of organization. I want to attach a camera or other sensor device(s) of my choice. I may want to buy additional equipment or software to process vehicle-collected data. Before I invest (or recommend an investment), I want to know enough to form good questions to potential suppliers, and to justify the investment, including all kinds of initial, recurring and potential costs. I want to know where, when and how I can legally operate my system. I want to reach potential customers for my company’s offerings of ready-to-fly vehicles or ready-to-operate systems. I am exploring ways to be more visible on the Internet, including social media. I am looking for effective ways to convert a visit to my website into a sale. I want to know the terminology that will be understood by website visitors, and by customers who contact my company with questions. I want to reach potential customers for the technical components (hardware, software, equipment) that are made or distributed by my company. I want to know which words and phrases to use on my website and in my communications. I want to reach potential customers for my company’s service offerings, which may include education, training, repair, or operation of an unmanned vehicle or UVS. I want to know which words and phrases to use on my website and in my communications. I am a student with a course to pass, a paper to write, a thesis to complete, or some other academic project toward a high school-, undergraduate- or graduate-level degree. I want more information than I have been given by my educational institution. I am someone who is in a teaching position, or I am a teacher’s assistant. I want to offer more or different information to students than I have the time or funds to develop (example courseware: ebooks, application software, instructional websites). I am looking for stable, relevant online articles or other writings and videos to recommend to students. I am also looking for application software that students may use, and for reliable online learning environments. I am a teacher/instructor/professor, an assistant, or a student who has created (or wants to create) a wiki, blog, or other kind of interactive website for a class, a team/organization, or a project. On that website, I want to enable discussions and offer links to relevant webpages on other websites. 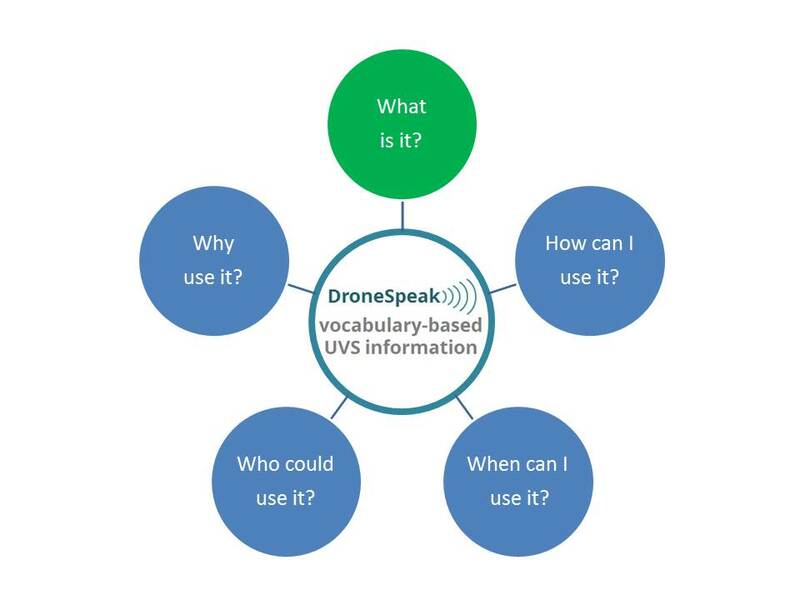 I want to work with a manufacturer or supplier of components or systems who is unfamiliar with the civilian drones industry and its wide variety of terminology. I am looking for basic introductory information that can save time explaining my application of the supplier’s components, or the desired features of a future component. I am a reporter. I have a deadline to meet for publishing a story in physical or electronic media. I have heard about model airplanes and quadcopters, but I am unfamiliar with the larger topic of civilian drones. I need to know enough soon to write, quote, and offer links to other information sources. I am a freelance article writer who is looking for a salable topic to write about and offer to media companies. I am a media company editor who is looking for newsworthy topics for reporters, columnists or article writers. I am writer who is authoring an introductory, how-to manual, fictional novel, or other book that is about, or related to the civilian drone industry. I am looking for ideas that I can use in my writing. I am on the staff of an elected official who wants to show responsiveness to constituents by authoring legislation12 that is intended to prevent the use of aerial drones in areas populated by civilians. I am an elected official. I may, or may not agree that legislation should be about constraining behavior, rather than about restricting specific technologies. I hear concerns from my constituents about the potential for unlawful behavior by people who operate an unmanned aerial vehicle (typically called a ‘drone’ by the public). I want to know enough to comprehend legislation that has been authored by my staff, agency or department, or to comprehend legislation that has been proposed by other sources. I am in a position with the US Federal Aviation Administration. I am looking for information about integrating “civil unmanned aircraft systems (UAS)” into the National Air Space (NAS). I am working with others to respond to the FAA Modernization and Reform Act of 2012. I am participating in the ASTM Technical Committee F38 on Unmanned Aircraft Systems. I am looking for information, and working with representatives of the FAA, corporations, and other entities to establish industry standards that address some of the concerns about the increase in aerial vehicles other than traditional, manned aircraft. I am a member of, or represent the Association for Unmanned Vehicle Systems International (AUVSI). I can see many opportunities for using unmanned vehicles for civilian purposes. I also expect reductions in government spending on defense or military systems. I am looking for ways to influence government policy makers, to counter proposed legislation that focuses on the technology of drones and other devices, rather than on laws that seek to restrain human behavior for the common good. I am a member of the Academy of Model Aeronautics (AMA) who owns model airplanes or model helicopters. I have less experience with flying robots. I want to learn more. I am an AMA Official. I am looking for ways to adjust AMA documents because of the increase in civilian unmanned aerial vehicles or drones. I am a member of a local club that is primarily interested in unmanned aerial vehicles or drones. I have heard that drones can be used for good purposes. I want to know more so I can participate in conversations with my family, friends, relatives, and anyone else I know or meet. I may contact an elected official, or someone in a government organization. I am passionate about protecting the environment for my children and their children. I do not want to wait for a government agency, university researcher, or corporation to do something before it’s too late. How can a drone be used to reduce the negative impact of human activity on the air we breathe, the water we drink, the food we eat, and the environment for wildlife? I like what the WWF has been doing. I am a member of the ACLU or EFF. I am concerned about how private parties or government entities might use a civilian drone, especially near or over the United States. I want to know more about the actual technical capabilities of today’s drone systems, and what capabilities may be available in the future. I am afraid of what my neighbors, the police, the government, or anyone else might do if they knew more about me, where I live, or what I do. I want to know what they might do, and how to protect myself, my property, and my source(s) of income. I want to know how I can keep a drone away, or destroy it when I see it. I have heard about special clothes and GPS jamming devices. I think there are many business opportunities for making or selling anti-drone products. Where are the weak points in a UAV or UAS that I can exploit for profit? I know some people are worried. What could I sell to them? I am an artist. I saw the aerial display over London advertising the next Star Trek movie. What other kinds of art could include drones? I was a military aviator. Now I am a civilian aircraft pilot. I saw the first military drone land on a US aircraft carrier. I wonder when this will affect me and others in jobs related to the commercial, manned-aircraft industry. What will “pilot” mean in the future? I drive a car, cab or truck. I wonder when some of the vision of air traffic in The Fifth Element will become reality. I heard about the US Government’s connected vehicle research. What will “driver” mean in the future? I have read Fighting Traffic. I understand how “social reconstruction” led to city streets and other roads becoming “where motorists belong”. How might our ground, air and water spaces become “where unmanned vehicles or highly automated vehicles belong”? When will this affect me? I practice law, and have friends in businesses that offer insurance policies. I have noticed an increase in proposed government legislation, typically about citizen privacy issues. There may also be an increase in safety and security issues as unmanned vehicles are introduced into the traditional domains of the civil aviation industry, ground transportation industry, and defense industry. I am familiar with the challenges of architecting and engineering complex systems13. I can see that UAVs and UASs depend on software, hardware and equipment in the air and on the ground. They also depend on reliable interaction with other systems (for example, the GPS), and on operators and people in other roles. While using UAVs in less populated areas for specific purposes becomes more acceptable, the overall integration of unmanned aerial/aircraft vehicles into the nation’s air space will be challenging. Will the world’s systems and software architects, engineers and others be familiar with ISO/IEC/IEEE 4201013? Will they be familiar with the vocabulary and heuristics-based approach outlined in The Art of Systems Architecting? Over time, additional or different viewpoints may be identified. Additional views may be expressed in writing, visualization and conversation. This writing presents viewpoints and example views primarily from activity in the United States. Similar activity can be found in many countries or regions.